Throughout the 40 year history of the residential market in Japan, gas sensors and gas detectors have been steadily improving. As a result, today gas detectors have achieved maintenance-free operation and carry a 5-year warranty. It is standard practice to use sensors with an internal filter for durability and resistance to false alarming due to interference gases. 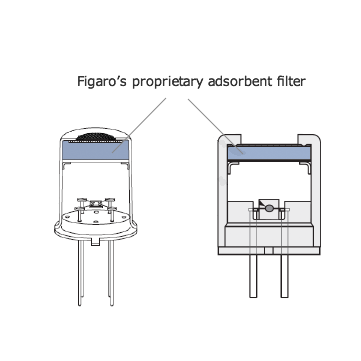 All Figaro combustible gas sensors for residential gas alarms have an internal filter. The amount of filter material is designed to meet the required response time (≤30sec) of the European standard. However, since response time is largely influenced by detector housing design, it is recommend that Figaro be contacted for advice on housing design. All manufactured sensors are inspected by using target gases under temperature and humidity-controlled conditions. The manufacturing history of sensors can be traced by production lot number. Long term stability is also traced by production lot. 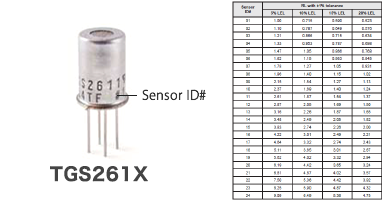 TGS2610/2611 are individually marked with an ID number indicating a factory presorted classification that corresponds to narrow ranges of sensor resistance in methane/LPG. When the sensor’s ID number is properly used, the calibration process can be greatly simplified, eliminating long preconditioning time and the complicated handling of calibration gas. 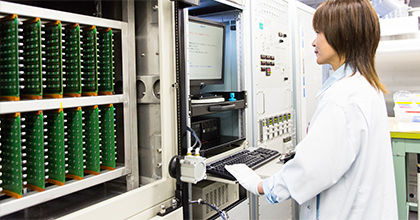 For eliminating gas calibration of TGS6810/6812, please refer to the detailed procedures found in TGS6810/6812 Application Notes. *1: UL1484 is the UL standard for residential gas detectors. 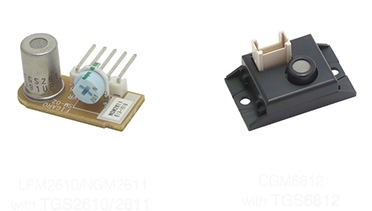 TGS2610/2611 are UL recognized components in accordance with the requirements of UL2075. Component recognition testing has confirmed long term stability in 60ppm of LPG/methane for one year. As a result, customers can skip the long term stability test to obtain UL1484 certification. *2: EN50194 is the European standard for residential gas detectors. Note: There are some tips in designing gas detectors to meet EN50194. Consult Figaro for more information. Figaro gas sensors meet environmental regulations such as Restriction of Hazardous Substances (RoHS) and Registration, Evaluation, Authorization & Restriction of Chemicals (REACH). Figaro continues striving to develop sensors with lower power consumption. Due to miniaturization of the sensor chip, the power consumption of TGS2610/2611 is only 280mW. For lower power consumption requirements, please consult with Figaro. Figaro combustible gas sensors are designed to have long life. Expected sensor life of TGS6810/6812 is 10 years. Throughout its 45+ year history in the residential gas detector business, Figaro has developed in-depth knowledge of gas sensor applications. As a result, Figaro can offer technical advice in circuit design, component selection, detector housing design, and manufacturing processes. 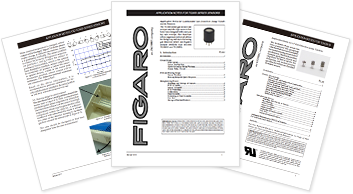 Figaro has detailed data sheets, including Technical Information and Application Notes. At which level should an alarm be set? Generally, Figaro recommends an alarming level at 10% LEL. However, for EN50194, we recommend a different alarming level due to the standard’s tight restrictions on the allowable alarm range. For more information, please consult with Figaro. 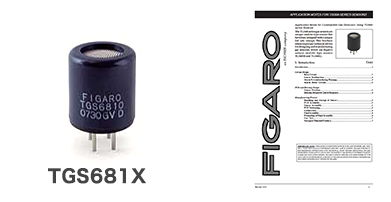 Are Figaro gas sensors used in UL1484/EN50194 certified gas detectors? Yes, we have several customers who have achieved UL1484 and EN50194. How can we know when gas sensors are damaged? When heater elements are damaged or lead wires are broken, the problem can be detected. For more information, please consult with Figaro.